Most debts are eliminated in bankruptcy. In some circumstances, you may wish to continue to pay on a debt in order to keep property, such as a vehicle. 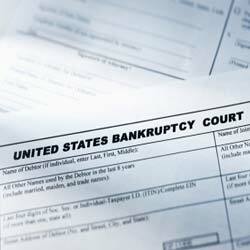 A “reaffirmation agreement” is an agreement entered into during a bankruptcy case that revives such a debt. A reaffirmation agreement is voluntary and you are not required to sign one. However, some creditors require that you either reaffirm your debt or surrender the vehicle. Should I reaffirm a debt? The best question to ask yourself in determining whether to reaffirm a vehicle loan is: ”would I buy my vehicle today for the amount I owe?” It is typical for the value of a vehicle to fall faster than the payoff balance, leaving many vehicles underwater by the time a bankruptcy case is filed. If you owe your creditor far more than the vehicle is worth and you have the ability to find alternate transportation, it is probably not in your best interest to sign a reaffirmation agreement. On the other hand, if your lender agrees to lower the balance or interest rate and you need the vehicle, you may decide to reaffirm the loan. Will my lender repossess my vehicle if I do not reaffirm? Current law allows but does not require lenders to repossess a vehicle if you refuse to sign the reaffirmation agreement. Some lenders threaten to repossess a vehicle if you refuse to sign their reaffirmation agreement. Other lenders do not require that you sign a reaffirmation agreement if you maintain regular payments. How do I reaffirm my vehicle loan? After you file your bankruptcy case, lenders requiring reaffirmation agreements will send a proposal to our office. We pass this proposal on to you with several options. You may refuse to sign the agreement, sign it without attorney assistance, in which case you may be required to attend a special court hearing, or under some circumstances, request our assistance for an additional fee. Alternatives to reaffirmation: If you choose not to reaffirm a vehicle loan, your lender may allow you to keep the vehicle as long as you maintain regular payments. You may choose to surrender the vehicle and discharge what remains of the loan. Or, if the conditions are right, you may “redeem” the vehicle through a process called “redemption.” In chapter 7 bankruptcy, you are allowed to keep a vehicle by paying the lender the current value of the vehicle. Most people do this by obtaining a post-bankruptcy loan through a specialized lender. We will discuss these options in more detail at your consultation.